Earnings Season is always a time for reflection, including this recent Q3 2018 earnings season. Did companies produce earnings that meet the Wall Street community’s estimates? Was there growth? What is the prognosis for future quarters. These questions often dictate the future course of the market. With 90% of companies reporting, we can now look back at Q3 2018 earnings and see if there were any skeletons in the earnings quarter closet. Did We Meet Expectations in Q3 2018 Earnings? Analysts on Wall Street make estimates of quarterly earnings. They predict what each companies are going to earn for the quarter (and well out into the future). These estimates become the benchmark. When earnings beat the estimates, that is called an earnings surprise. When they don’t, it is called a disappointment. In general 75% of all companies either meet or beat earnings each quarter. So if companies are hitting estimates, the next question to ask is whether companies are growing in general. Maybe both Earnings and Estimates were low to begin with, and the fact that earnings are beating estimates is not really indicative of a good quarter. That actually is not correct. Q3 2018 earnings this quarter are killing it! Right now, the quarter is shaping up to show growth of over 25% year over year. That is a very robust path. In fact, this is the highest growth quarter since 2010 where earnings were rebounding off of a very low base. This quarter is showing fabulous earnings growth off of a very solid year last year. That is much more challenging. Bottom line: 25% earnings growth is outstanding. What are companies saying about their future? One of the features of a company’s earnings call is when the CEO issues a forecast about how the company may perform in the future. This forecast is called Corporate Guidance, and it is similar to an analyst estimate except that it is coming directly from the company itself. Not every company issues guidance, and usually that guidance is very conservative. In fact, often it is used to bring analyst estimates down so that the company can surpass them in the following quarter or year. Since companies HATE missing estimates (an earnings disappointment), and they really don’t mind beating estimates, the general direction of corporate guidance has tended to be negative. 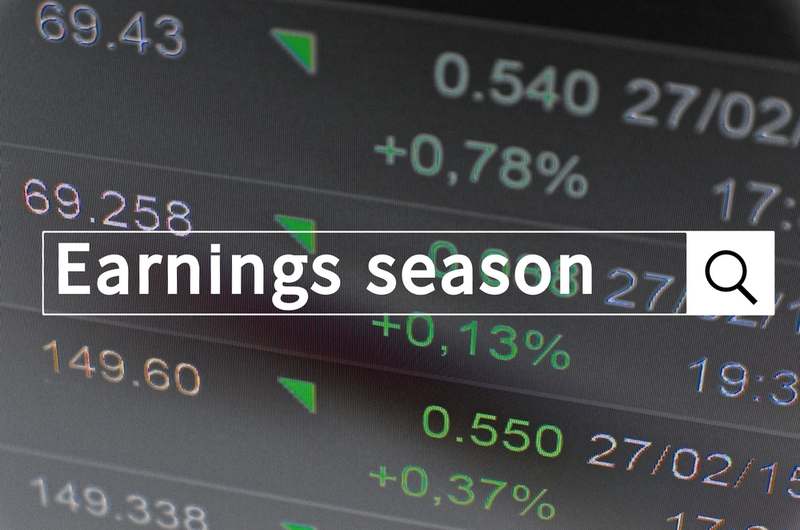 So what are companies saying about their upcoming earnings? Well, only about 80 companies have issued guidance, and there are twice as much negative guidance as positive guidance. That is a very typical quarter. And given how strong Q3 2018 earnings were, it is not surprising that a few companies wanted to tamp down expectations for the next couple of quarters. What do analysts see in the future? Here is where the story gets more interesting. This year has been very strong, not just this quarter. As you look into the future, that means that next year’s growth would have to surpass this years results to generate growth – a tough target! But the market is theoretically priced not just on today’s earnings but more importantly, what is in the future. Factset is now reporting that next year’s growth estimates from the analysts will shrink from 21% full year growth this year to 9% growth next year. Additionally, the first two quarters will be even less. Could the market be looking at the lower growth rates, and beginning to factor that into prices? That is certainly possible. Are some sectors dragging down the market as a whole? This has been a strange rally in the market this year, and that explains why the market feels so tenuous. Instead of a broad based rally, the gains have been largely concentrated in a few names – primarily the technology stocks and the FANG (Facebook, Amazon, Netflix and Google) stocks in particular, accounting for a large percentage of the price increase. If some of these leaders are beginning to flag, what does that mean for the market as a whole? Are there other sectors that are willing to pick up the mantle and carry the market higher? Let’s look underneath the S&P 500 earnings and estimates, and see how the sectors did this quarter. Technology still looks strong with 92% of the companies reporting earnings surprises. That is the strongest sector of the bunch. Additionally Health Care and Consumer Discretionary are not far behind. So the stalwarts of the rally look like they delivered in Q3 2018 earnings. On the other side of the equation, Real Estate and Energy provided most of the disappointments. Energy was interesting: they had several disappointments, but the companies that did surprise on the positive side, they beat by a large percent. So definitely a mixed bag with that sector. But as we go forward, next quarter, the technology sector’s growth rate shrinks from mid twenties to 8-9%. This deceleration of growth certainly is causing concern. As the market continues to experience a downdraft, the Q3 2018 earnings scorecards was largely positive with very few current concerns. The market could be reacting to estimates in the future. The analysts ARE predicting a growth slowdown next year. It would have been impossible for the 20+% growth rates to continue indefinitely, but it look like 2019 will return growth to single digits. As the market is forward looking, clearly some of the price falls are due to investors digesting these good but not great growth rates next year. But, anytime you get growth in the 25% range, the market should be celebrating. This may mean that there is a foundation to build on once some of the exogenous variables like trade wars, increased interest rates, and the elections settle down.